Gallstone disease is prevalent in Western populations (10-14% will develop gallstones), yet most will remain asymptomatic. Each year between 1-4% will develop symptoms secondary to their gallstones. Figure 1 – The biliary system, which transports bile from the gallbladder to the duodenum. Bile is formed from cholesterol, phospholipids, and bile pigments (products of haemoglobin metabolism). It is stored in the gallbladder, before passing into the duodenum upon gallbladder stimulation. Gallstones form as a result of supersaturation of the bile. Classically the common risk factors for gallstone disease are described as the 5 F’s of Fat, Female, Fertile, Forty, and Family history. Other recognised risk factors include pregnancy and oral contraceptives*, haemolytic anaemia, and malabsorption (e.g. ileal resection or Crohn’s disease). Studies have shown for those who are symptomatic, over 50% will present as biliary colic and 35% as an acute cholecystitis. For asymptomatic gallstones, these are often simply picked up incidentally on scans, most commonly a trans-abdominal ultrasound scan (Fig. 2). Biliary colic occurs when the gallbladder neck becomes impacted by a gallstone. There is no inflammatory response, yet the contraction of the gallbladder against the occluded neck will result in pain. The pain is typically sudden, dull, and colicky (comes and goes) in nature. It is often focused in the right upper quadrant although it may radiate to the epigastrium and/or back. The pain may be precipitated by the consumption of fatty foods* and the patient often complains of nausea and vomiting. In general, once pain relief has been started, symptoms often settle quickly. *Fatty acids stimulate the duodenum endocrine cells to release cholecystokinin (CCK), which in turn stimulates contraction of the gallbladder. The symptoms of acute cholecystitis are often similar to that of someone with biliary colic, although the pain may be constant, persistent despite pain relief, and is often associated with signs of inflammation (e.g fever, raised WCC). The patient may also demonstrate some derangement of their liver function tests. When examining any patient with suspected gallbladder pathology, it is important to check for signs of inflammation (e.g. tachycardia, pyrexia), signs of peritonitis or perforation, and signs of jaundice or hepatomegaly. Patients with acute cholecystitis will be tender in the RUQ and will likely demonstrate a positive Murphy’s sign. Whilst applying pressure in the RUQ, ask the patient to inspire. Murphy’s sign is positive when there is a halt in inspiration due to pain, indicating an inflamed gallbladder. This can be achieved more accurately with an ultrasound, namely the sonographic Murphy sign. There are a wide variety of pathologies that can present with RUQ pain. However, differentials to consider for any suspected gallbladder disease include gastro-oesophageal reflux disease, peptic ulcer disease, acute pancreatitis, or inflammatory bowel disease. LFTs – biliary colic and acute cholecystitis are likely to show a raised ALP (indicating ductal occlusion), yet the other parameters should remain within normal ranges. If results from US scans are inconclusive, further imaging options are available. 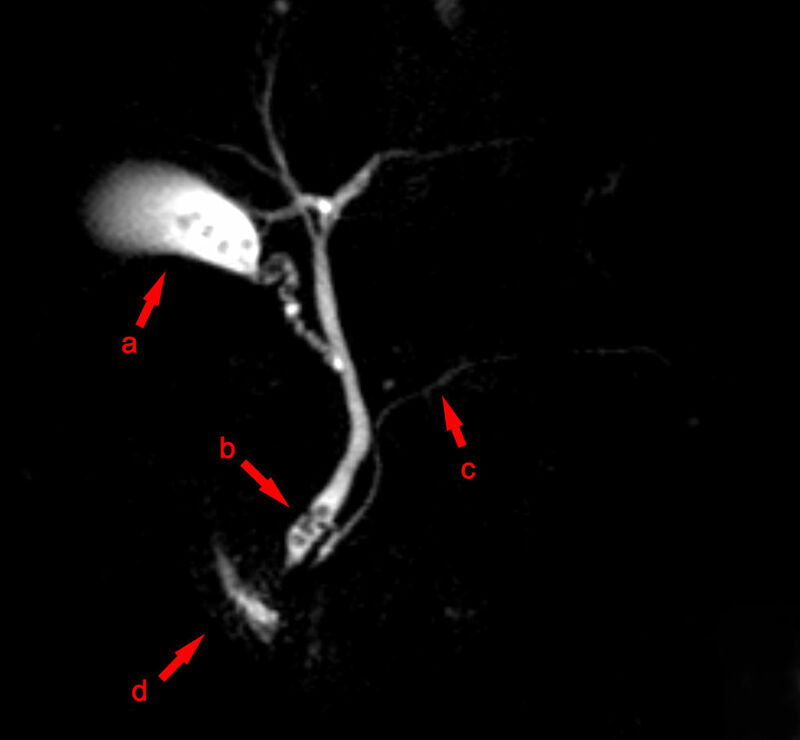 The gold standard investigation for gallstones is Magnetic Resonance Cholangiopancreatography (MRCP), largely replacing ERCP for diagnostic purposes (Fig. 3). MRCP can show potential defects in the biliary tree caused by gallstone disease, with a sensitivity approaching 100%. Any patient with symptoms suggestive of gallstones with inconclusive US (or CT scans) should undergo a MRCP. 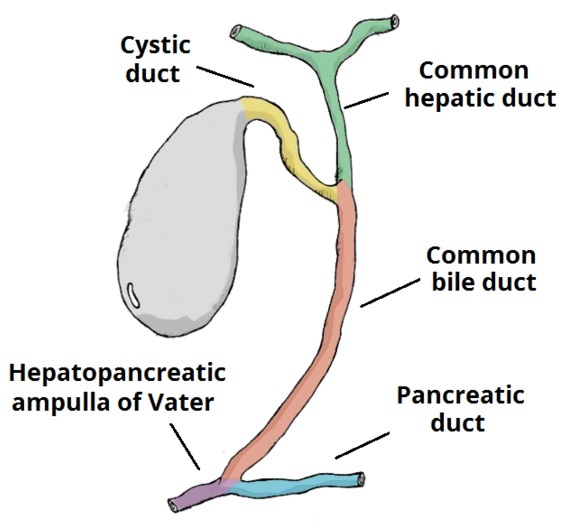 Figure 3 – MRCP image showing stones in the distal common bile duct: (a) Gallbladder with stones (b) Stone in bile duct (c) Pancreatic duct (d) Duodenum. Patients with biliary colic should be prescribed analgesia, typically NSAIDs and PRN opioids, along with an appropriate antiemetic. If there is no improvement in symptoms with analgesia, consider a potential cholecystitis picture. Following first presentation of biliary colic, there is a high chance of symptom recurrence or the development of complications of gallstones for example cholecystitis, or acute pancreatitis. As a consequence, an elective cholecystectomy is warranted (or a surgical clinic review for consideration for a cholecystectomy) and should ideally be offered within 6 weeks of first presentation (Fig. 4). The laparoscopic route is preferred for cholecystectomy but is not always possible. 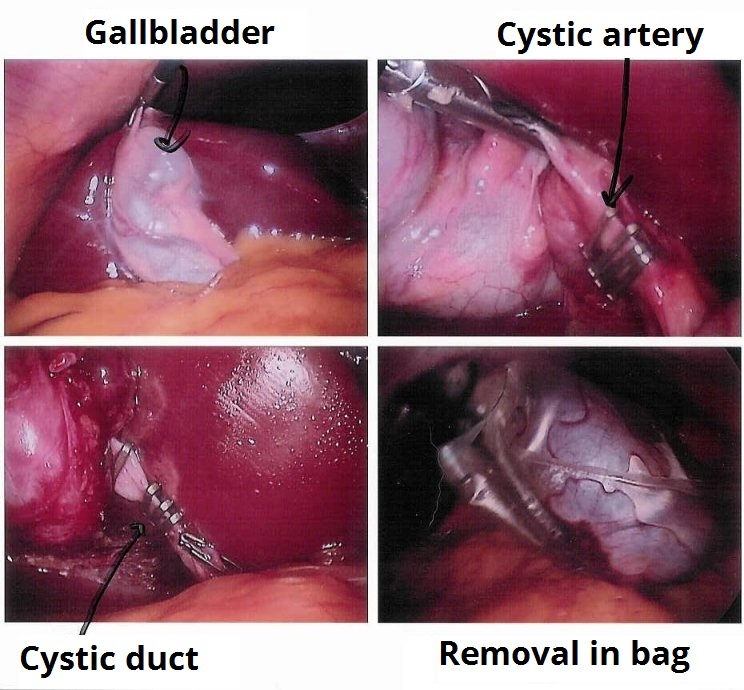 Figure 4 – Images from a laparoscopic cholecystectomy. Patients with acute cholecystitis should be started on appropriate intravenous antibiotics (such as co-amoxiclav +/- metronidazole) and fluid resuscitation therapy. If the patient demonstrates evidence of sepsis, management should be adapted accordingly. A laparoscopic cholecystectomy is indicated within 1 week, as per NICE guidelines, however this ideally should be done within 72hr of presentation*. A Cochrane review previously demonstrated that earlier cholecystectomies are safe and reduce overall hospital stay however, in many centres this is not currently practical. For those not fit for surgery and not responding to antibiotics, a percutaneous cholecystostomy can be performed to drain the infection, with the patient advised regarding further lifestyle changes thereafter (although as the gallstones remain in-situ, the risk of recurring disease remains). *A laparoscopic cholecystectomy after a couple of days of inflammation tends to be a more difficult procedure. In a patient readmitted with RUQ pain post-cholecystectomy, it is important to exclude a retained CBD stone post-operatively. US abdomen scan may be useful, yet if this is unremarkable, then further investigation via MRCP imaging is warranted. A gallbladder empyema is when the gallbladder is infected and an abscess forms within the gallbladder. Patients are typically septic, however presenting with a similar clinical picture to acute cholecystitis, and is associated with a significant morbidity and mortality. The condition is diagnosed by either US scan or CT scan. Treatment is via laparoscopic cholecystectomy* (may require intra-operative drainage if tense gallbladder) or percutaneous cholecystostomy (if unsuitable for surgery). Patients with chronic cholecystitis will typically have a history of recurrent or untreated cholecystitis, which has led to the chronic inflammation of the gallbladder wall. It may be asymptomatic or present with ongoing RUQ or epigastric pain with associated nausea and vomiting. It can be diagnosed typically by CT scan (or often noted on histology post-cholecystectomy). Management in uncomplicated cases is via elective cholecystectomy. Its main complications are increased risk of gallbladder carcinoma and biliary-enteric fistula. Other complications include obstructive jaundice, ascending cholangitis, and acute pancreatitis. Which of the following is not a risk factor for gallstones? A 35 year old female is 4 weeks postpartum and presents with a 3 day history of progressively worsening right upper quadrant pain that radiates to her shoulder, and is worse after eating particularly fatty food. She occasionally has nausea and vomiting after meals. She denies any fevers or malaise. She notes that she had gallstones incidentally found on an ultrasound in the past, but they have never bothered her before. What has likely changed to make her asymptomatic gallstones now symptomatic? Which of the following lab value abnormalities suggests common bile duct obstruction in cholecystitis? 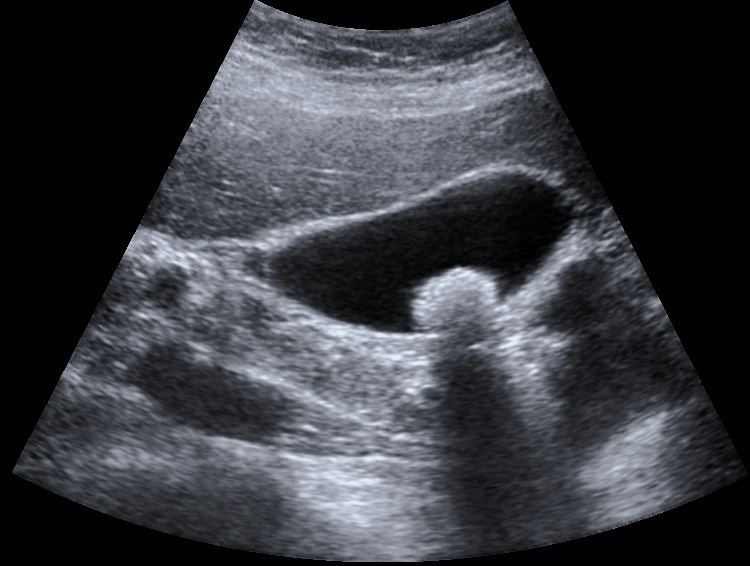 A patient is admitted with clinical features suggestive of gallstone disease, with a raised ALP, however the US scan only shows stones within the gallbladder and is unable to locate any in the biliary tree. What is the next appropriate investigation?